Food giants are being targeted by the World Health Organisation in a major drive to tackle childhood obesity around the world. A new WHO report, Ending Childhood Obesity, urges governments to act to limit the marketing of unhealthy high-calorie and sugar-laden food products and drinks aimed at children. Ireland has already acted and introduced a sugar tax in yesterday's Budget but the country still faces a major problem, with the report revealing that almost one in 10 children in Ireland is obese. Nine per cent of girls and 10.2 per cent of boys are obese according to the latest global examination of childhood obesity. In 1975 just one per cent of Irish children were deemed obese, mirroring a global 10-fold increase. The raft of guidelines in the report call for disadvantaged communities to be given better access to healthy foods and for measures to ensure that physical activity is part of the "daily routine and curriculum" in schools and other child-care facilities. Professor Fiona Bull, a member of the WHO working group that spent two years compiling the report, launched ahead of World Obesity Day on October 11, said: "We need to turn our concern into action - more action and more widespread action. "We are surrounded by environments which market unhealthy, high fat, high sugar, high calorie food. That's what's on the TV, that's what's promoted at bus stops, and that's what children are seeing all day, every day. "The promotion and the price and the specials, the two-for-ones, the super-sizing - these are the problems that drive overweight and obesity, over-consumption." Prof Bull was speaking at a briefing in London to launch both the WHO report and a major study highlighting soaring rates of childhood and adolescent obesity around the world. The research, published in The Lancet medical journal, pulled together data from 31.5 million children and teenagers aged five to 19 who took part in more than 2,000 studies. It found that globally, the estimated number of obese children and teenagers had risen 10-fold in the past four decades. Between 1975 and 2016 the number of obese boys in the world went up from six million to 74 million, while a similar trend for girls showed an increase from five to 50 million. While obesity rates among young people in Europe and the US were said to have plateaued, the authors stressed it was still a serious problem in these regions. Dr James Bentham, a member of the international team from the University of Kent, said: "This is not an excuse for complacency as more than one in five young people in the USA and one in 10 in the UK are obese." Girls in Ireland ranked 79th globally for obesity, while boys ranked 98th. While obesity in adults is measured simply using Body Mass Index (BMI), identifying it in children is more complex. The study authors used a WHO statistical method that looks at levels of deviation from a "normal" average. Prof Bull said the WHO was talking to food manufacturers to find ways to reformulate products to reduce their sugar, fat and calories. The impending sugary drink tax had already led to the food companies making changes, she pointed out. "This tells us something - industry can change," Prof Bull added. 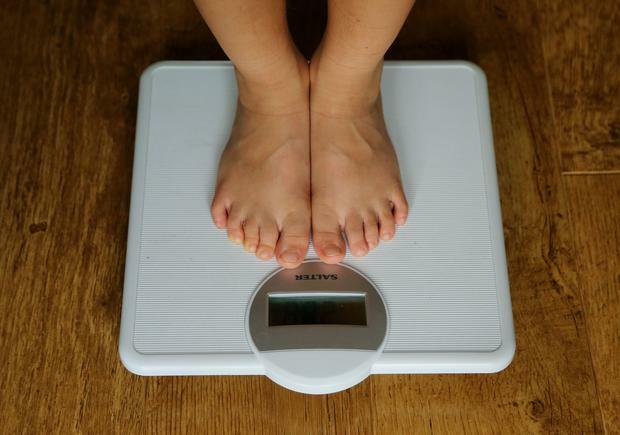 Commenting on the research findings, Dr Harry Rutter from the London School of Hygiene and Tropical Medicine said childhood obesity still represented a "huge crisis" in the UK that was largely rooted in poverty. He pointed out that while obesity prevalence among the most affluent UK children had fallen slightly in the last 10 years, it had steadily risen among the poorest. "We don't only have inequality, we have widening inequality, and we're not getting any better at dealing with it," said Dr Rutter. Professor Majid Ezzati, one of the study authors from Imperial College London, said: "While there have been some initiatives led by governments, communities or schools to increase awareness about childhood and adolescent obesity, most high-income countries have been reluctant to use taxes and industry regulations to change eating and drinking behaviours to tackle child obesity. "Most importantly, very few policies and programmes attempt to make healthy foods such as whole grains and fresh fruits and vegetables affordable to poor families. "Unaffordability of healthy food options to the poor can lead to social inequalities in obesity and limit how much we can reduce its burden."